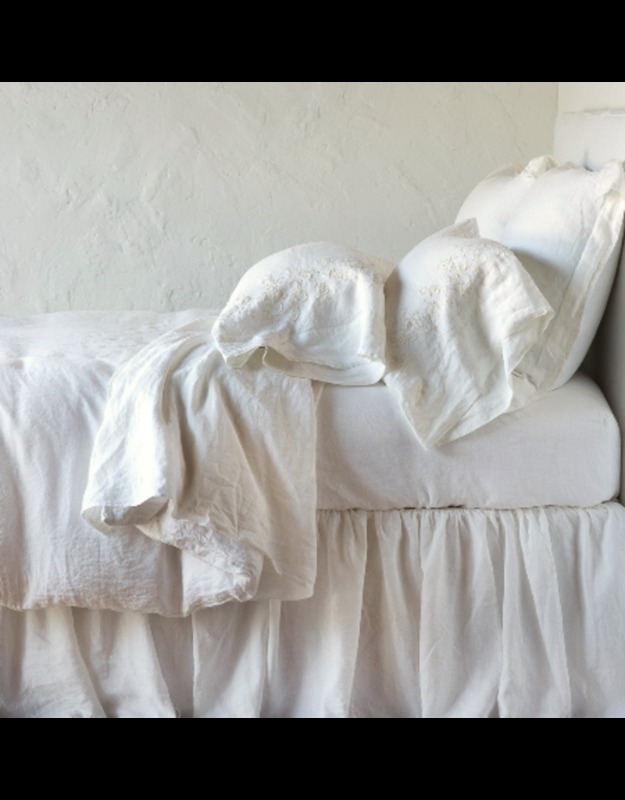 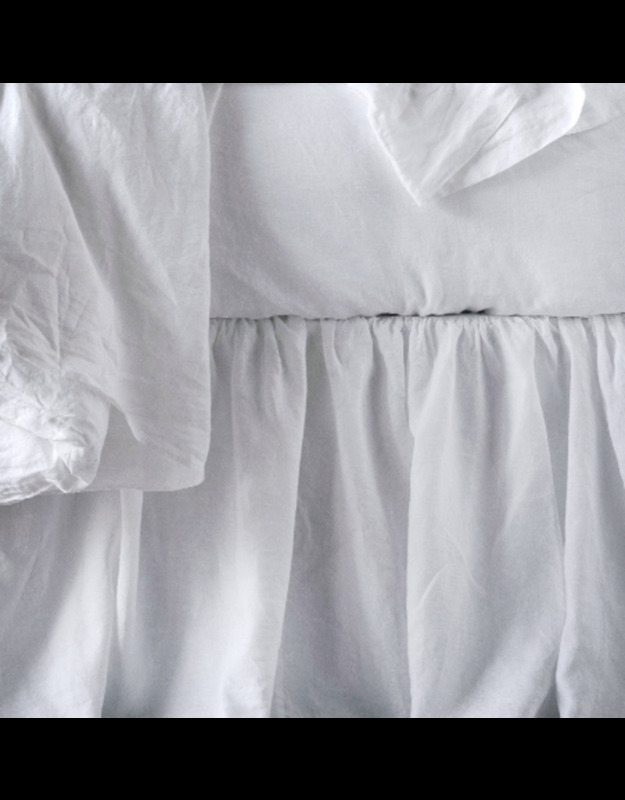 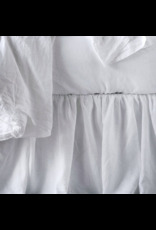 This simple and elegant gathered Linen Bed Skirt is very soft and equipped with an easy drape. 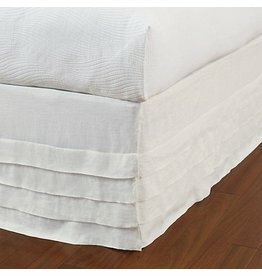 Comprised of three separate panels which are easily removed individually or all at once for washing. 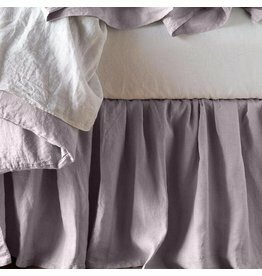 The beautiful skirt can puddle softly on the floor or be tucked to accommodate most bed frame heights.